The school holiday has started, it’s time to bring the kids out for fun experience together. I had great time at UNIQLO x Discovery Channel UT launch event at One Utama (in front of UNIQLO store, G floor Old Wing) just now. 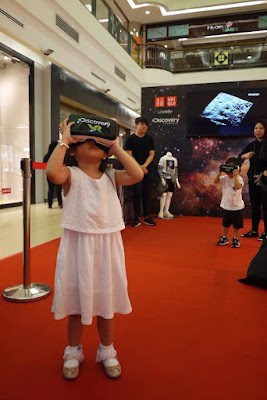 My daughters and I had certainly enjoyed our time together experiencing the VR, courtesy by UNIQLO Malaysia and Discovery Channel. 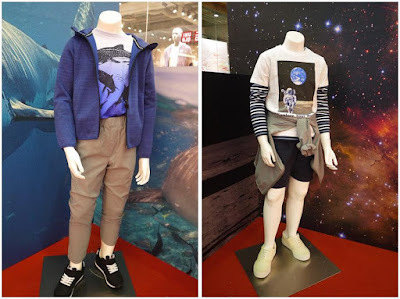 There’s 13 designs catering for kids in the inaugural collaboration between UNIQLO and Discovery Channel. 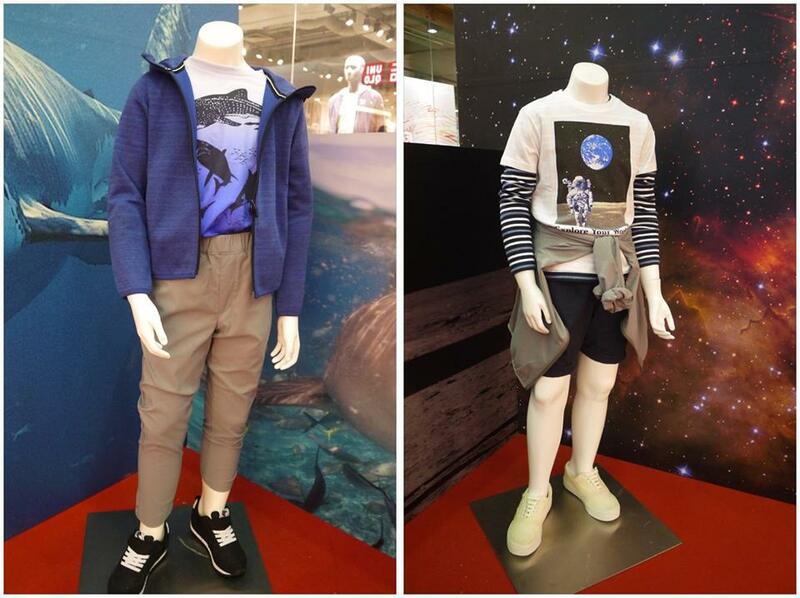 The UNIQLO Discovery Channel UT features prints of animals, wildlife and space. To mark the grand launch of it, UNIQLO and Discovery Channel has bring the UT designs to life through a Discovery event where children and adults can transport and immerse themselves in time, space and story - from the thrill of a spacewalk, diving underwater with a shiver of sharks, swimming alongside the manta rays, see the elephants in safari to interactive with dinosaur. Don’t miss out the event which is taking place from 17th Mar till 19th Mar at UNIQLO, One Utama Shopping Mall. 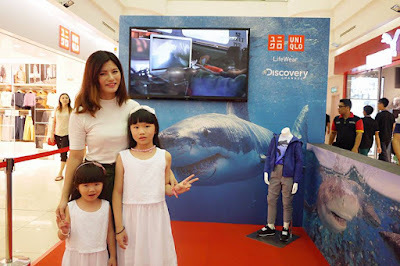 The UNIQLO Discovery Channel UT is part of a larger roll out of UNIQLO’s Spring/Summer UT collection which has been progressively released in stores and online website since February this year. Apart from the UNIQLO Discovery Channel UT among other new lineup includes collaboration with Futura, the father of abstract street art and graffiti artise, Andre Saraiva. There’s also UTs featuring iconic Disney Story – Beauty & The Beast and cult favourite – Star Wars. 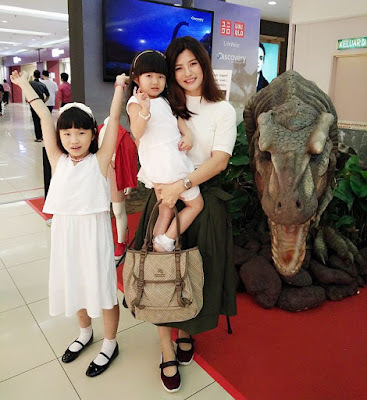 In fact, my whole family members are big fans of UNIQLO UT for its simple yet stylish design. It is comfortable to wear, and very easy to mix and match with pants or skirt. The fabric is in good in quality plus easy to clean with washing machine. 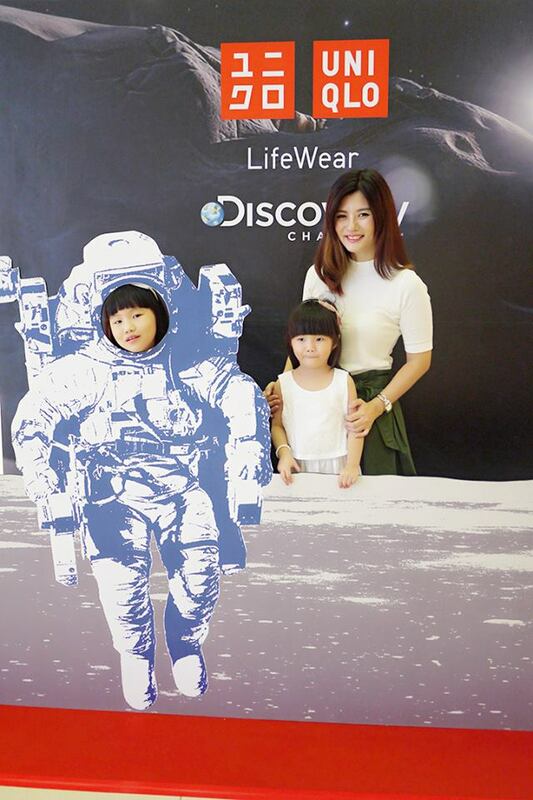 UNIQLO Discovery Channel UT has inspiring curiosity that will appeal to girls and boys as well as parents. Since launching in year 2007, UT has highlighted an array of authentic pop culture and art graphics from around the World. 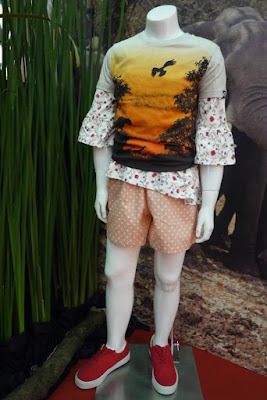 UT is one element of UNIQLO LifeWear, which is innocative, high-quality clothing that is universal in design and comfort which is made for everyone, everywhere. UT has evolved significantly since year 2013, when NICO became the Creative Director, presenting new fabrics and styles to match different contexts. Looks fun thou, will try to dropby. didnt know about this collaboration until i read your post! thanks for sharing =) hope you guys had fun there! Wah didn't know about such an event! 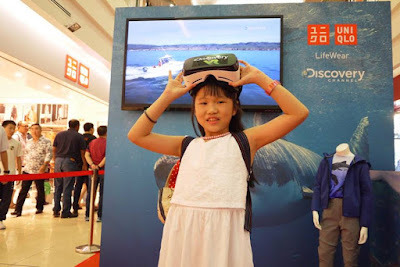 Looks really interesting, wanna try the VR as well. Uniqlo is my favourite brand. Great collaboration! 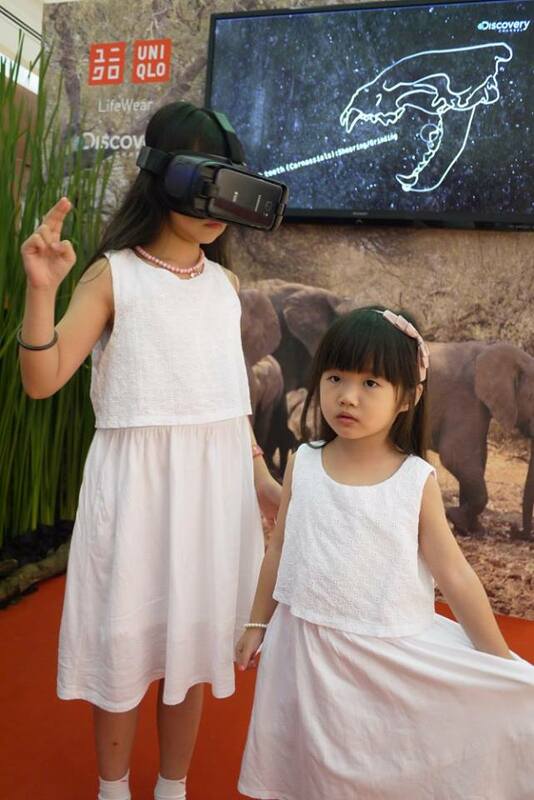 You two princess seem enjoying the VR. Uniqlo brands is good especially their sweater. Your daughter is so cute! I always love UNIQO products. I like UNIQLO as a whole because they are so innovative, and have lots of amazing collaborations.